D quad bike racing game. It's time to accept the challenge and to win these crazy races. These four-wheeled monsters can overcome a track of any difficulty. A variety of game modes, several kinds of ATVs and incredible levels will surprise the most demanding gamer. 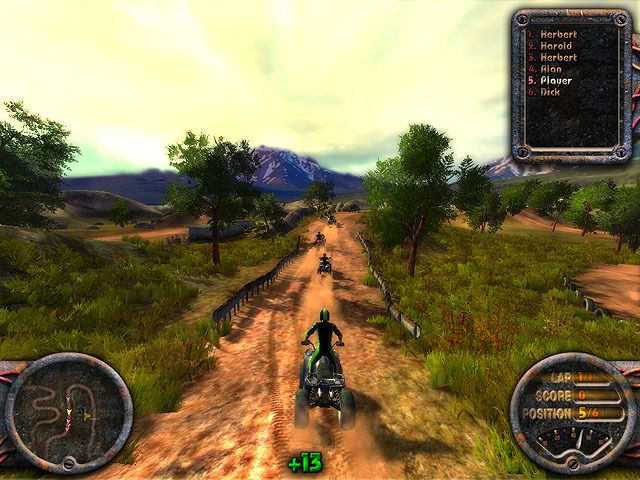 You're sure to love motorbikes and these games - for you. The choice is all kinds of competitions on motorbikes - motocross, supercross, superbike and other extreme sports. We have simple motorbike games as well as complex simulations.